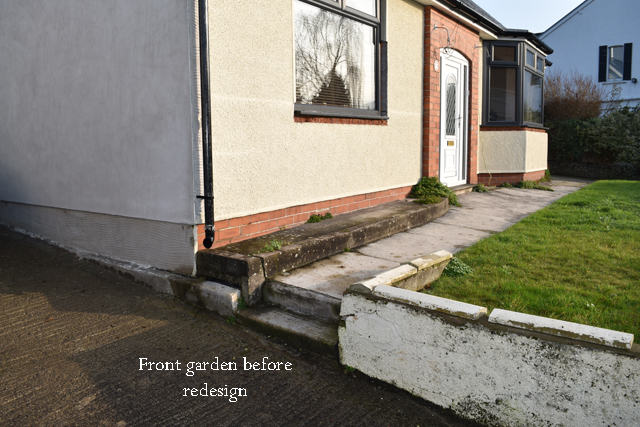 I’ve been working with a couple in Abergavenny over the last few weeks who have recently renovated their house and are now ready to turn their attention to the garden. 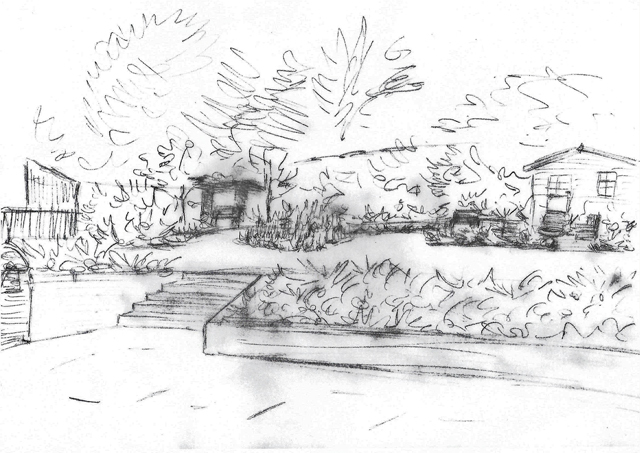 They’re planning to build some of the garden themselves so they just needed a help to get a concept design idea together that they could then develop and take forward themselves. The potential of the garden was one of the reasons they brought the house and they love it’s open feel and the fact that you can see the top of the Blorenge from the end of the garden when you look back towards the house. 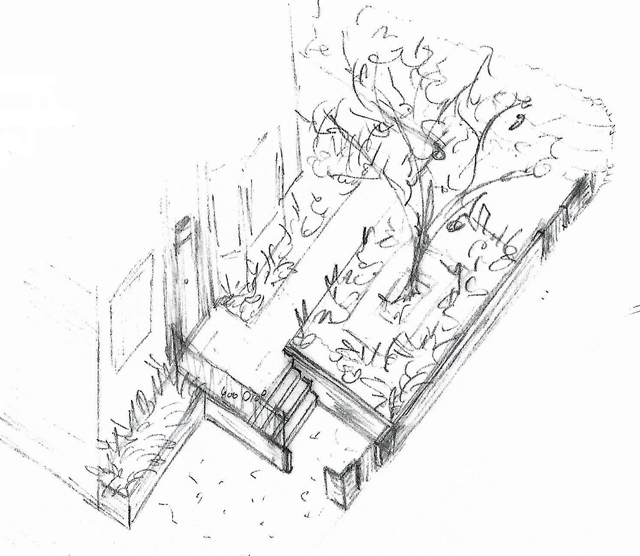 Want they really want to create is a garden of rooms with areas that make seating flexible. The new extension has a contemporary feel to it, mostly so that it fits with the architecture of the house but they want the overall feel of the garden to be a bit more informal. 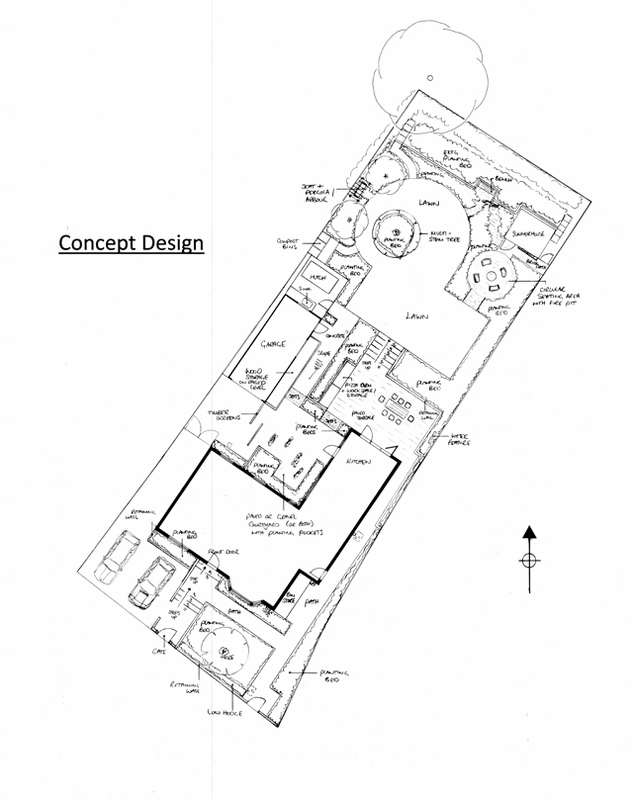 The areas adjacent to the house will serve as the connecting space, linking the more formal areas within the kitchen to the less formal areas further out in the garden. The main terrace area will provide a spacious flexible area which will allow enough room for large gatherings but also feel intimate enough when it’s just the two of them. 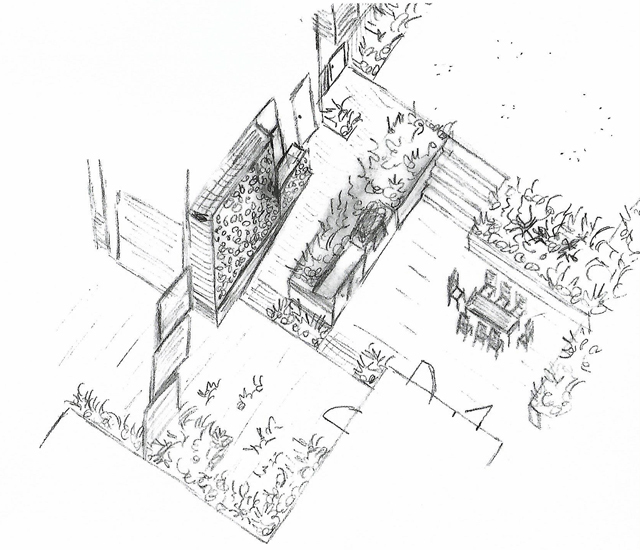 Further out into the garden the summerhouse will be rejuvenated with an informal circular seating area amongst planting with a mobile fire pit and comfy chairs. The existing garage wall, which is a bit ugly at the moment, will be painted or rendered with log storage against the wall to give interest, function and texture. At the front of the house the levels are a little trickier and the driveway entrance is quite narrow. The new layout will enable them to park two cars side by side whilst making sense of the route up to the front door from the pavement level. 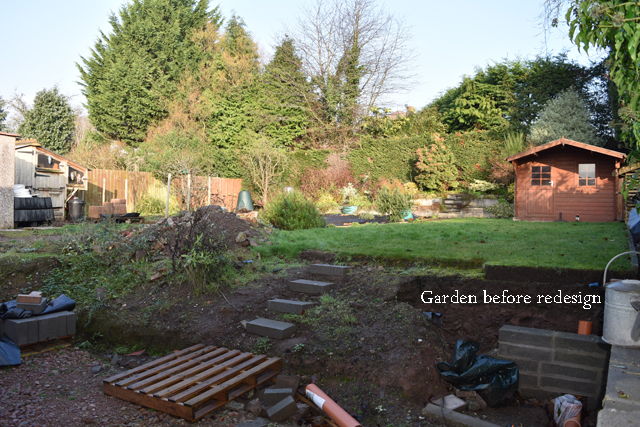 I’m looking forward to seeing how they get on with the implementation of the garden which is likely to happen in stages. If the need arises, I may be involved a bit later on so I’ll keep you posted as and when I have any updates.